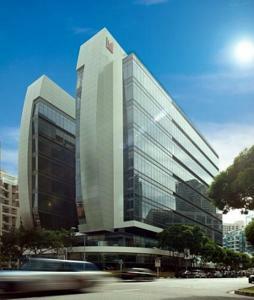 Stylish and modern, Studio M Hotel is located along Robertson Quay, just 10 minutes' drive from Orchard Road. It offers a 25-metre lap pool, free Wi-Fi and shuttle to shopping locations. Elegantly decorated, the unique loft rooms at Studio M are all equipped with a flat-screen TV. A minibar, safety deposit box and tea/coffee making facilities are also provided. Guests can work out at the open-air gym or relax in the spa tub. Laundry services and free sheltered parking is available. TaKé is an outdoor restaurant serving tapas and cocktails. Also located outdoors, Malted Milk Bar offers gourmet pizzas and a large selection of local and international beers. Weekend specials feature grilled fresh seafood and meat. Studio M is a 30-minute drive from Changi International Airport and a 5-minute drive from Suntec International Convention Centre. It is a 10-minute walk from Clarke Quay MRT Train Station. Rooms: Hotel Rooms: 360, Hotel Chain: Millennium Hotels. Children older than 12 years are welcome. Extra beds are not available. There is no capacity for extra beds/cots in the room. The maximum number of total guests in a room is 2. American Express, Visa, Euro/Mastercard, Diners Club, JCB The hotel reserves the right to pre-authorise credit cards prior to arrival.